17 July 2015. Related: Pipeline report, Paediatric care, TB coinfection. Years of building advocacy and research capacity have finally brought about clinical research for children with tuberculosis (TB). While data gaps and delays between adult and pediatric approvals remain large, there is more activity in the pediatric TB treatment pipeline than ever before. Investments in pediatric TB research and development (R&D) are also necessary to shrink existing data gaps between adults and children. The World Health Organization’s Roadmap for Childhood Tuberculosis estimates that between 2011 and 2015, $200 million  would be needed for pediatric TB research. At the midpoint of the 2011-2015 period, donors had spent just one-fourth of the targeted $200 million – a significant shortfall in funding for pediatric TB R&D. In 2013, TAG’s annual Report on Tuberculosis Research Funding Trends uncovered just $25.3 million spent on pediatric TB R&D from 19 donors worldwide. Of the $25.3 million invested in pediatric TB research, the largest share went to drug development: $10.8 million (43% of the total). One-fifth of the total $25.3 million, or $4.7 million, was invested by the Eunice Kennedy Shriver National Institute of Child Health and Development (NICHD) at the NIH. UNITAID’s $3.4 million investment in the STEP-TB project was enough to make it the third largest funder of pediatric TB R&D. The reach of these and other investments is documented here. Jenkins HE, Tolman AW, Yuen CM, et al. Incidence of multidrug-resistant tuberculosis disease in children: systematic review and global estimates. Lancet. 2014 May 3;383(9928):1572-9. doi: 10.1016/S0140-6736(14)60195-1. Dodd PJ, Gardiner E, Coghlan E, Seddon JA. Burden of childhood tuberculosis in 22 high-burden countries: a mathematical modelling study. Lancet Global Health. 2014 July 9;2(8):e453-9. doi: 10.1016/ S2214-109X(14)70245-1. World Health Organization. Global tuberculosis report 2014. Geneva: World Health Organization; 2014. Available from: http://www.who.int/tb/publications/global_report/en/. Beccerra MC, Swaminathan S. A targets framework: dismantling the invisibility trap for children with drug-resistant tuberculosis. Journal of Public Health Policy. 2014 Sept 11;35(4):425-54. doi:10.1057/jphp.2014.35. Researchers continue to play catch-up on pediatric PK data for second-line TB drugs to inform World Health Organization (WHO) dosing recommendations required to advance development of pediatric formulations. Pediatric PK and safety studies of new TB drugs are progressing, albeit at varying rates. Studies under way or starting soon will evaluate preventive therapy for children exposed to multidrug-resistant TB (MDR-TB) and whether it is possible to shorten treatment for less severe forms of TB from six to four months (SHINE) and for tuberculous meningitis (TBM) (SURE-TBM) from 12 to 6 months in children. And appropriately dosed pediatric formulations of first-line TB drugs are approaching market introduction. Table 1 provides an overview of ongoing and planned TB prevention and treatment studies in children. Preliminary analyses of data from an ongoing PK and safety study of second-line TB drugs determined that children are being underdosed for several drugs at the currently recommended mg/kg doses. [10, 11, 12, 13, 14] New data are emerging from PK and safety studies of first- and second-line drugs in children. These data suggest the need for revised doses for second-line drugs in children. More data for both moxifloxacin and levofloxacin in children are expected in the next year. Significant PK and safety data gaps in children remain, and further research is necessary to determine optimal drug doses and regimens and to ensure safe and effective levels of drug exposure in children. Ongoing and planned studies will help address these gaps; however, many of these data should have been collected years ago, reflecting the historic neglect of children in TB research. Most PK and safety data gaps for first-line TB drugs are in young or HIV-positive children receiving antiretroviral therapy (ART). Studies (see table 1) to optimize doses of first-line TB drugs in these populations, and to evaluate the PK and safety of efavirenz, nevirapine, superboosted lopinavir/ritonavir, and raltegravir in young children on rifampin-based TB treatment, are being conducted. PK investigations of second-line TB drugs at currently recommended doses in children are nearing completion; more results from MDR-PK are expected in 2016, including for terizidone, levofloxacin, amikacin, and ethionamide, although drug-specific findings have been published and presented throughout the MDR-PK study’s duration. These data analyses, along with an individual patient meta-analysis, are already under way and are being coordinated by the Desmond Tutu TB Center and Stellenbosch University, and they will inform WHO treatment recommendations, which are critical to advancing development of pediatric formulations of second-line drugs. PK and safety data for moxifloxacin in children under seven years old remain elusive, largely a result of limitations of the existing formulation. Furthermore, the optimal dose of moxifloxacin has yet to be determined in adults (400 mg vs. 600 mg) – current pediatric PK and safety work evaluates drug exposures achieved in adults at 400 mg. Pending the study site’s ability to enroll greater numbers of coinfected children, the MDR-PKstudy will aim to fill existing PK and safety gaps for second-line drugs in children who are HIV-positive and taking ARVs. The timelines for pediatric investigation of new drugs delamanid and bedaquiline remain discordant. The discordance is likely attributable to differing regulatory requirements between the European Medicines Agency (EMA), which requires studies in children, and the U.S. Food and Drug Administration (FDA), which exempts orphan drugs from pediatric studies altogether (see box 1, Regulatory Spotlight). Developer accountability for studies in HIV-positive children, which is not explicitly required under pediatric investigation plans (PIPs) approved by the EMA, [42, 43] is nearly nonexistent. Janssen has shirked its responsibility to collect PK and safety data in HIV-positive children, leaving publically funded research consortia to pick up the slack. The NIH’s International Maternal, Pediatric, Adolescent AIDS Clinical Trials Group (IMPAACT) is planning to open a PK and safety study of bedaquiline in HIV-positive children in 2016 (P1108). While Otsuka is planning to collaborate with IMPAACT to collect PK and safety data for delamanid in HIV-positive children, U.S. taxpayers will ultimately also foot the bill for this work (IMPAACT CS 5004). Further complicating the investigation of pretomanid in children is an outstanding question of whether 100 mg or 200 mg is the optimal dose in adults. Analysis of data collected in the phase III trial will answer this question, but not before late 2017 or early 2018. This information is required to determine target drug exposures in children and to evaluate the safety of pretomanid at the correct dose. In the meantime, data on the appropriate dose of moxifloxacin (the “M” in PaMZ) in young children are urgently required. Sutezolid is another drug for which limitations of adult data inhibit investigation in children. Sequella licensed sutezolid from Pfizer in 2012, and development has stalled since then. Early-stage phase I and II studies of sutezolid conducted by Pfizer before the transition were insufficient to determine the optimal dose in adults  – information required for setting the target exposures necessary to advance PK and safety studies in children. Unfortunately, Sequella has done little to advance the development of sutezolid, leaving it suspended in phase II and inaccessible to interested outside investigators. Regulatory authorities’ ability and responsibility to hold pharmaceutical companies accountable for pediatric investigations is key to closing the gap between adult and pediatric access to new TB drugs and regimens. The EMA requires submission of a PIP with new drug applications, whereas the Orphan Drug Act  allows the FDA to exempt drugs for indications granted an orphan designation (such as TB) from pediatric studies normally required under the Pediatric Research Equity Act. The FDA’s subpar alternative to a PIP requirement attempts to encourage research in pediatric populations by offering an additional six months of marketing exclusivity under the Best Pharmaceuticals for Children Act (BPCA). Such opt-in alternatives have proved less effective at ensuring timely completion of pediatric investigations compared with the standard regulatory requirements, especially for orphan drug markets, which are perceived to be small and in which competition is sparse, understandably limiting their attractiveness for just a few months of additional marketing exclusivity. The EMA works with drug developers to establish their plans for investigation of new drugs in children. Once the EMA approves the PIP, the drug developer is expected to complete the agreed-upon studies before a prespecified deadline (see table 2). Modifications to approved PIPs are possible. While better than the FDA at requiring the inclusion of children in research plans for new TB drugs, the EMA still fails to hold companies accountable for important pediatric studies; neither the PIP for delamanid nor the PIP for bedaquiline requires investigation in HIV-positive children. [52, 53] As a result, Janssen and Otsuka have eluded their responsibilities to collect PK and safety data in HIV-positive children. IMPAACT, a publically funded research consortium, is planning studies (P1108; CS 5004) to ensure that this pediatric subpopulation is not neglected and can benefit from new TB treatments. Timely investigation of new TB drugs in HIV-positive and HIV-negative children, facilitated by the establishment of comprehensive and thoughtful regulatory policies, is critical to closing existing adult-pediatric approval and access gaps. Treatment of children with TB often necessitates the cutting and crushing of tablets. Five years after the WHO released revised pediatric dosing guidelines for first-line drugs, the market introduction of appropriately dosed pediatric formulations is finally in sight. This is in stark contrast to the situation for second-line drugs, for which we are still determining the pediatric mg/kg dose ranges that will achieve drug exposures comparable to those in adults. While the market introduction of pediatric formulations of second-line drugs may seem far away, there is some reason for optimism. Recent progress in formulation development expected to improve existing medicines for children, their caregivers, and the health care systems supporting their care is summarized in table 3. There are multiple pediatric formulations of first-line drugs at various stages of development. Sanofi, the sponsor of rifapentine (indicated for use in drug-sensitive TB [DS-TB] and latent TB infection in children as young as two years old), is planning to initiate a bioavailability and safety study of a mango-flavored, fixed-dose, dispersible combination of 150 mg rifapentine with 150 mg isoniazid, as well as a separate 100 mg rifapentine dispersible to facilitate dose adjustments in young children, in the third or fourth quarter of 2015. [54, 55] These formulations will then be used in TBTC 35. The TB Alliance and the WHO continue to prepare countries for uptake of these long-awaited formulations. Multiple strategies are necessary. WHO prequalification, a mechanism put in place to ensure and monitor the quality of medications procured in bulk, is required of manufacturers looking to sell medications through the GDF. For countries that don’t purchase pediatric medications through the GDF, namely Brazil, China, India, Indonesia, the Russian Federation, and South Africa, submission of separate in-country dossiers is required. Ideally, the STEP-TB project’s work will pave the way for the development and timely introduction of pediatric formulations of second-line drugs. Standard formulations affect which second-line drugs are studied in and used to treat children. For example, moxifloxacin is available only in 400 mg tablets that are not scored and are bitter when crushed. As a result, it is not feasible to treat children weighing less than 20 kg (typically children younger than eight years old) within the recommended 7.5 mg/kg to 10 mg/kg range. Instead, children weighing less than 20 kg are treated with ofloxacin or levofloxacin, which are available in 200 mg and 250 mg scored tablets, respectively. Another drug that is difficult to administer to children is clofazimine, which is available only in a softgel capsule form that prohibits splitting or cutting to obtain smaller doses. However, there is cause for tempered optimism. Macleods Pharmaceuticals has developed scored, dispersible prototypes of levofloxacin (100 mg), moxifloxacin (100 mg), linezolid (150 mg), and ethionamide (125 mg) and a minicapsule of cycloserine (125 mg). TB-CHAMP, a trial to evaluate levofloxacin as preventive therapy for household MDR-TB contacts under five years old, will pilot Macleods Pharmaceuticals’ 100 mg scored and dispersible levofloxacin formulation. Investigator-initiated grant funding will support further development of the levofloxacin formulation and its procurement for the trial. Collaboration with Macleods Pharmaceuticals and shared investment are urgently needed to expedite the advancement of the remaining formulations from prototype to market, work estimated to cost $3.5 million. In addition, finalized, evidence-based, and WHO-recommended mg/kg dose ranges are necessary for attracting a second manufacturer. The previously described research to determine optimal mg/kg dose ranges of second-line TB drugs in children and data from an individual patient meta-analysis should inform a pediatric treatment chapter in the WHO consolidated treatment guidelines up for review in November 2015. Because the potential market for pediatric formulations of second-line drugs is small, it is important to encourage additional manufacturers to join the space, which will help improve the likelihood of competitive drug pricing and stable supply. To this end, it is critical that the UNITAID-funded STEP-TB project be expanded to include second-line drugs. A bioequivalence study of delamanid as 5 mg and 25 mg dispersible tablets in strawberry and cherry flavors is complete. The availability of these formulations will allow the continued study of delamanid in children under five years old (232; 233). The TB Alliance has begun pediatric formulation feasibility work toward a single-drug dispersible tablet of pretomanid, with eventual plans for a dispersible fixed-dose combination tablet containing pretomanid, moxifloxacin, and pyrazinamide. Advance preparation of the pediatric formulation will facilitate planned simultaneous enrollment of all age groups. However, data on optimized dosing of pretomanid and moxifloxacin, especially for young children, are necessary to inform development of the planned pediatric and fixed-dose combination formulations. Several studies of levofloxacin to prevent MDR-TB in children are expected to begin enrolling in 2016 (A5300/P2003; TB-CHAMP; V-QUIN. Levofloxacin is also being evaluated as a component of therapy for children with TBM (TBM-KIDS; SURE-TBM). Levels of cerebrospinal fluid penetration of new drugs and their potential efficacy for the treatment of TBM remain to be explored. 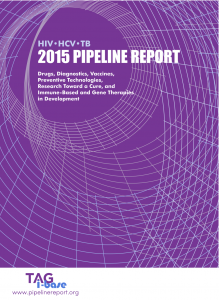 Studies to evaluate improved regimens for DS-TB and MDR-TB (see “Tuberculosis Treatment Pipeline,” in 2015 Pipeline Report [publishing July 2015]) rarely include pediatric components, but some at least allow for the inclusion of adolescents (≥10 years old). Table 4 provides an overview of ongoing and planned adult studies that include adolescents, a population for which we have a first-ever global estimate of TB disease burden: 655,000 cases per year. Adolescent inclusion in phase III adult trials is especially warranted as there is no physiological basis for exclusion – adolescents achieve similar levels of drug exposures as adults, present with similar forms of TB disease, and tolerate adult formulations. Stand-alone strategies focused on addressing TB in adults are insufficient to achieving the ambitious targets set forth in the End TB Strategy. Recent recognition within the field of the importance of expanding prevention and treatment of pediatric TB has resulted in an increasingly full roster of studies in children. Yet much work remains to be done to expedite studies of regimens and new drugs in children and to advance the development of pediatric formulations of second-line drugs. Expedite investigation of new drugs and regimens in children. Pediatric investigation of new TB drugs and regimens should begin as soon as efficacy and safety have been established in adults (phase IIb studies); cohorts for PK and safety studies in children should be recruited in parallel; and adolescents ≥10 years old should be included in TB drug trials phase IIb and later. These recommendations require drug sponsors and investigators planning studies of new TB drugs and regimens in adults to consider work necessary for facilitating eventual expansion of the targeted indication to children early on. Upstream decisions and lack of planning greatly (and often adversely) affect pediatric research and access timelines. Ultimately, knowledge gained from investigations focused on individual drugs should inform the design and implementation of pediatric-friendly treatment regimens (e.g., a nine-month, injection-sparing regimen for MDR-TB in children that incorporates optimized doses of existing and new TB drugs). More thoughtful requirements from stringent regulatory authorities will also help ensure the timely inclusion of children in TB research. The Orphan Drug Act should be amended so that it does not allow drugs exemption from the Pediatric Research Equity Act when additional pediatric-specific data are necessary for an indication in children younger than 18 years old. The Pediatric Research Equity Act should explicitly require investigation in all affected pediatric subpopulations. Similarly, the EMA Pediatric Committee on PIPs should work with drug sponsors to ensure the inclusion of HIV-positive children in planned investigations of new TB drugs. Advance the development of pediatric formulations of second-line drugs. The WHO must issue formal dosing recommendations for second-line TB drugs in children and invite expressions of interest for pediatric formulations in line with its dosing recommendations. These two steps are required before the development of urgently needed pediatric formulations can advance. In tandem, the UNITAID-funded STEP-TB project should be expanded to take forward existing pediatric formulation prototypes of second-line TB drugs and to provide incentives for competing manufacturers to enter the market. Increase investments in pediatric TB research and development. The trend of inadequate pediatric TB R&D funding must be reversed if we are to achieve zero TB deaths, new infections, suffering, and stigma, especially before 2035. The NICHD should continue to support studies critical to improving treatment of pediatric TB and to filling both long-standing and new gaps in pediatric PK and safety data, especially for HIV-positive children taking ARVs. UNITAID should expand funding for the STEP-TB project to facilitate expedited market introduction of pediatric formulations of second-line and new TB drugs, especially given the limited market size and lack of interest from manufacturers. Public money should be complemented by investment and commitment from manufacturers entering the pediatric TB market. Unless otherwise noted, all links were accessed on May 29, 2015. Nachman S, Ahmed A, Amanullah F, et al. Towards earlier inclusion of children. All dollar figures in this chapter represent U.S. dollars. World Health Organization, Stop TB Partnership, Treatment Action Group, International Union Against Tuberculosis and Lung Disease, U.S. Agency for International Development, U.S. Centers for Disease Control and Prevention, and UNICEF. Roadmap for childhood tuberculosis. Geneva: World Health Organization; 2013. Frick M. 2014 report on tuberculosis research funding trends, 2005-2013. New York: Treatment Action Group; 2014. McKenna L. Playing catch-up: pediatric tuberculosis treatment pipeline. In: Clayden P, Collins S, Daniels C, et al. ; i-base/Treatment Action Group. 2014 pipeline report. Edited by Andrea Benzacar. New York: Treatment Action Group; 2014. p. 217-32. Garcia-Prats AJ, Thee S, Draper HR, et al. The pharmacokinetics and safety of the fluoroquinolones for the treatment and prevention of drug-resistant tuberculosis in HIV-infected and -uninfected children. Paper presented at: MDR-TB in Children and Adolescent TB Issues Symposium at the 44th UWCLH; 2013 November 1; Paris, France. Thee, Stephanie. The pharmacokinetics of ofloxacin and levofloxacin in HIV-infected and -uninfected children with tuberculosis (Abstract OP-212-02). Paper presented at: Novel Concept in the Diagnosis and Treatment of Tuberculosis and Children Oral Abstract Session at the 44th UWCLH; 2013 November 2; Paris, France. Thee S, Garcia-Prats AJ, McIlleron HM, et al. Pharmacokinetics of ofloxacin and levofloxacin for prevention and treatment of multidrug-resistant tuberculosis in children. Antimicrob Agents Chemother. 2014 May;58(5):2948-51. doi: 10.1128/AAC.02755-13. Hesseling AC. Pharmacokinetics of second-line TB therapy in children. Paper presented at: State of the Art on Childhood TB Treatment and Diagnostics Symposium at the 43rd UWCLH; 2012 November 16; Kuala Lumpur, Malaysia. World Health Organization. Rapid advice: treatment of tuberculosis in children. Geneva: World Health Organization; 2010. Hesseling AC. Tuberculosis in children. Presented at: Tuberculosis magic bullets and moving targets symposium at the 22nd Conference on Retroviruses and Opportunistic Infections; 2015 February 25; Seattle, WA. Zvada S, Prins M, Mulligan C, et al. Pharmacokinetics of rifampicin, isoniazid and pyrazinamide in children on 2010 WHO/IUATLD guideline doses. Presented at: 7th International Workshop on Clinical Pharmacology of TB Drugs; 2014 September 5; Washington, D.C.
Bekker A, Schaaf HS, Seifart HI, et al. Pharmacokinetics of isoniazid in low-birth-weight and premature infants. Antimicrob Agents and Chemother. 2014 Apr;58(4):2229-34. doi: 10.1128/AAC.01532-13. Hesseling AC. Tuberculosis in children. Thee S, Garcia-Prats AJ, Draper HR, et al. Pharmacokinetics and safety of moxifloxacin in children with multidrug-resistant tuberculosis. Clin Infect Dis. 2015 Feb 15;60(4):549-56. doi: 10.1093/cid/ciu868. Thee S. The pharmacokinetics of moxifloxacin in children with MDR-TB. Presented at: Emerging perspectives in treatment of pediatric MDR-TB at the 45th UWCLH; 2014 November 1; Barcelona, Spain. McKenna L. Playing catch-up: pediatric tuberculosis treatment pipeline. 2014. Gonzalez D, Mase S, Jereb J, et al. Population pharmacokinetics of levofloxacin in children treated for, or exposed to, multidrug resistant tuberculosis in the Federated States of Micronesia and Republic of Marshall Islands. J Pharmacokinet Pharmacodyn 2013;40:S47-S48. Hafkin, Jeffrey (Otsuka Pharmaceutical Co., Bethesda, MD). Teleconference with: Childhood TB Core Team. 2015 March 10. Hafkin J. Delamanid pediatric program update. Presented at: Emerging perspectives in the treatment of pediatric MDR-TB at the 45th UWCLH; 2014 November 1; Barcelona, Spain. Boulle A, Van Cutsem G, Cohen K, et al. Outcomes of nevirapine- and efavirenz-based antiretroviral therapy when coadministered with rifampicin-based antitubercular therapy. JAMA. 2008;300:530-9. Martinson NA, Barnes GL, Moulton LH, et al. New regimens to prevent tuberculosis in adults with HIV infection. N Engl J Med. 2011 Jul 7;365(1):11-20. doi: 10.1056/NEJMoa1005136. Weiner M, Egelund EF, Engle M, et al. Pharmacokinetic interaction of rifapentine and raltegravir in healthy volunteers. Antimicrob Chemother. 2013 December 15;69(4):1079-85. doi: 10.1093/jac/dkt483. Temple ME, Nahata MC. Rifapentine: its role in the treatment of tuberculosis. Ann Pharmacother. 1999;33:1203-10. Burton, Deron. Study 35 Proposal. Presented at: TBTC Study 31 Training; 2015 May 5; Decatur, GA.
Hesseling, Anneke (Desmond Tutu Tuberculosis Center, Cape Town, South Africa). Personal communication with: Lindsay McKenna (Treatment Action Group, New York, NY). 2015 April 8. National Institutes of Health (U.S.). NIH, South African Medical Research Council award $8 million in HIV, TB grants [Internet]. 2015 April 13. Garcia-Prats, Anthony J. (Desmond Tutu TB Center, Stellenbosch, South Africa). Personal communication with: Lindsay McKenna (Treatment Action Group, New York, NY). 2015 April 14. De Schryver, Daniel (Janssen Infectious Diseases, Beerse, Belgium). Personal communication with: Lindsay McKenna (Treatment Action Group, New York, NY). 2015 April 7. Cook-Scalise, Sarah (TB Alliance, New York, NY). Personal communication with: Lindsay McKenna (Treatment Action Group, New York, NY). 2015 May 27. European Medicines Agency. Bedaquiline (fumarate). PIP number: EMEA-000912-PIP01-10-M01. European Medicines Agency. Delamanid. PIP number: EMEA-001113-PIP01-10-M03. Murray, Stephen (TB Alliance, New York, NY). Teleconference with: NIH-convened Working Group on New TB Drugs in Pediatrics and Pregnant Women. 2014 June 13. Murray, Stephen (TB Alliance, New York, NY). Personal communication with: Lindsay McKenna (Treatment Action Group, New York, NY). 2015 April 8. Acosta, Edward (University of Alabama, Birmingham, AL). Teleconference with: NIH-convened Working Group on New TB Drugs in Pediatrics and Pregnant Women. 2014 October 23. Food and Drug Administration (U.S.) Orphan Drug Act of 1983, Public Law 97-414. Sect. 526 (1983). Food and Drug Administration (U.S.). Pediatric Research Equity Act of 2003, Public Law 108-155. Food and Drug Administration (U.S.). Best Pharmaceuticals for Children Act (BPCA) of 2002, Public Law 107-109. Sect. 10 (2002). European Medicines Agency. Bedaquiline (fumarate). Maroni, Marilyn (Sanofi, Gentilly, France). Presentation at: 35th Bi-annual TBTC Meeting; 2014 October 15; Atlanta, GA.
Cieren-Puiseux (Sanofi, Gentilly, France). Personal communication with: Lindsay McKenna (Treatment Action Group, New York, NY). 2015 April 2. Scott, Cherise (TB Alliance, New York, NY). Teleconference with: Childhood TB Core Team. 2015 March 10. World Health Organization. Guidance for national tuberculosis programs on the management of tuberculosis in children. 2nd ed. Geneva: World Health Organization; 2014. Brigden G, Furin J, Van Gulik C, Marais B. Getting it right for children: improving tuberculosis treatment access and new treatment options. Expert Review Anti Infect Ther. 2015 Apr;13(4)451-61. doi: 10.1586/14787210.2015.1015991. Brigden G, Furin J, McKenna L, et al. Issues administering oral second-line medications to children with multidrug-resistant TB (MDR-TB). Oral abstract presented at: 45th UWCLH; 2014 November 1; Barcelona, Spain. Agarwal, Vijay (Macleods Pharmaceuticals Ltd., Mumbai, India). Personal communication with: Lindsay McKenna (Treatment Action Group, New York, NY). 2015 January 16. Seddon J, Thee S, Jacobs K, et al. Hearing loss in children treated for multidrug-resistant tuberculosis. J Infect. 2013 Apr;66(4):320-9. doi: 10.1016/j.jinf.2012.09.002. Snow K, Graham S, Sismandidis B, et al. The epidemiology of TB, TB/HIV and MDR-TB in adolescents: what is the extent of the problem? Presented at: 45th UWCLH; 2014 November 1; Barcelona, Spain. World Health Organization. Global strategy and targets for tuberculosis prevention, care and control after 2015. Geneva: World Health Organization; 2013. http://www.who.int/tb/post2015_tbstrategy.pdf.